A level of service unmatched in the fuel industry. Working to make fuel one less thing you have to worry about. Since 1979, our focus has been on delivering exceptional service along with turnkey wholesale gasoline and wholesale diesel fuels to transportation, commercial, jobbers, and government customers. With over a billion gallons supplied each year, our mission is to make your job easier and, ultimately, give you peace of mind. We understand the impact fuel has on your business and that your needs are unique. Which is why we treat each situation with a personalized solution. Our experienced team is dedicated to helping you reach your goal and our extensive transportation network offers you the optimal balance of low-cost and secured supply and delivery throughout the continental United States. Secured supply and delivery even in national emergencies—backed by 24/7/365 customer service. Ability to react to emergency supply disruptions with long-haul deliveries, wet-hosing coordination for offsite vehicles or equipment, temporary tank placement, and dedicated truck services available upon request. 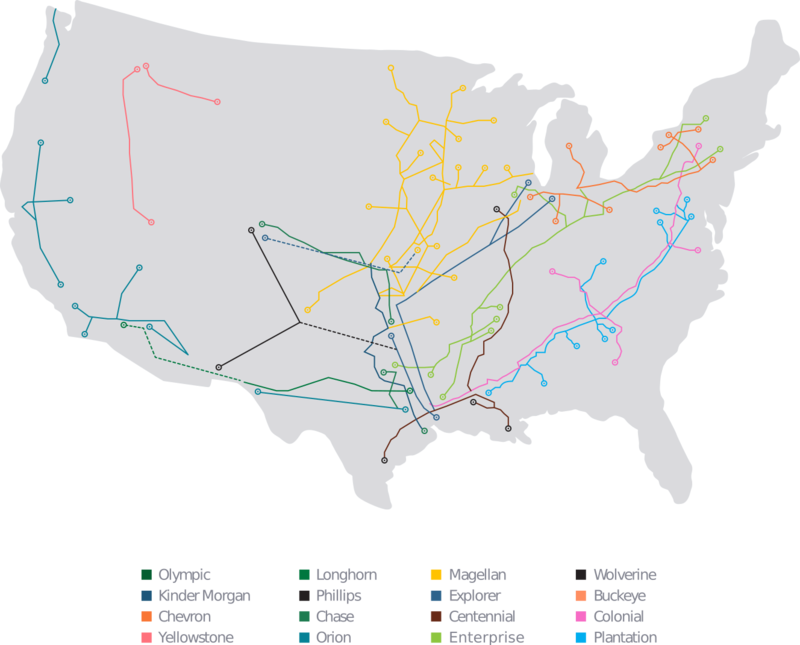 Coast-to-coast supply and logistics network offers pipeline shipping through either delivery or direct terminal access across the continental United States. Intraday market trend analysis for optimal delivery dates and times as well as up-to-date awareness of events that cause instability in the marketplace. With over 30 years of cost management experience, we can offer price-management programs that allow customers to increase profits by controlling fuel costs. Price-management programs that remove volatility of fuel cost expenses, reduce impact of supply shortages, and protect and provide predictable budgets. Price protection, regular discounts, 24/7/365 dispatch access, and personalized follow ups on all deliveries. Technology support including: leading industry insights and customized reporting for increased efficiency. Remote tank monitoring done multiple times daily to save time, money, and protect against fuel run outs. With coast-to-coast pipeline access and supply points throughout the continental United States, Petroleum Traders maintains one of America’s largest fuel distribution networks.